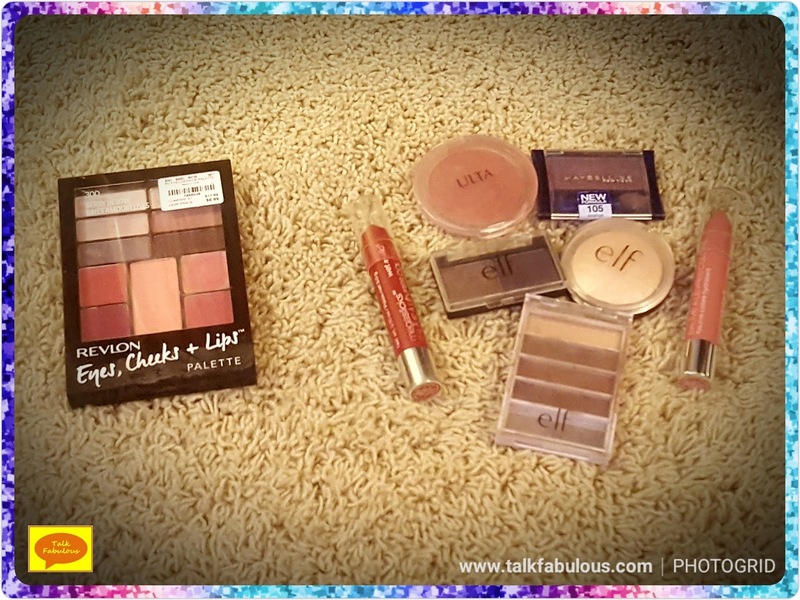 Today’s installment of Fabulous Finds Friday is all about makeup. It’s really Target’s “fault”. They gave me a coupon for any L’Oreal True Match product. Like I’m going to pass that up! 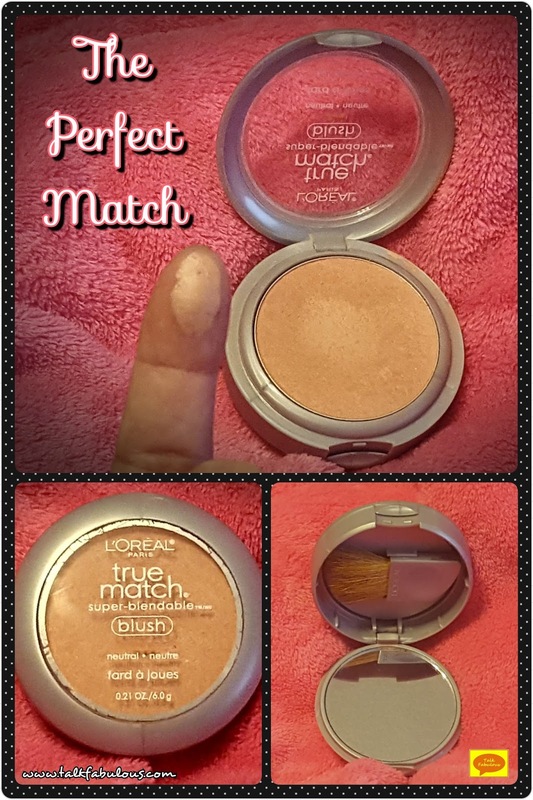 I’m a big fan of the True Match foundation and the powder, but I wanted to try something new. 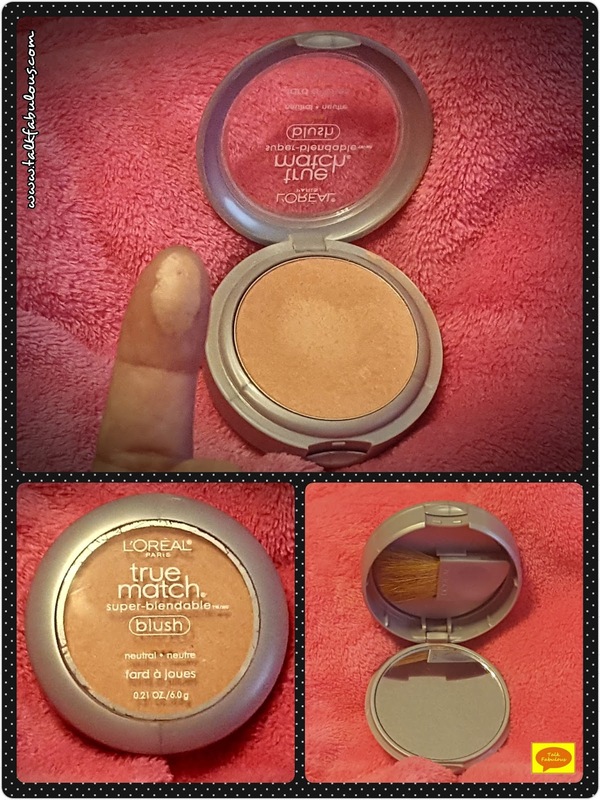 So, I reached for the True Match blush (find it here) in Neutral 1-2 Precious Peach. Guys, this stuff is amazing! And would you look at that pigment! It claims to “precisely match your skin tone and undertone, leaving you with the most natural flush of color imaginable.” True story! The color is truly a perfect match and it lasts all day. It’s just gorgeous! I like that it comes in a compact complete with a mirror and brush. 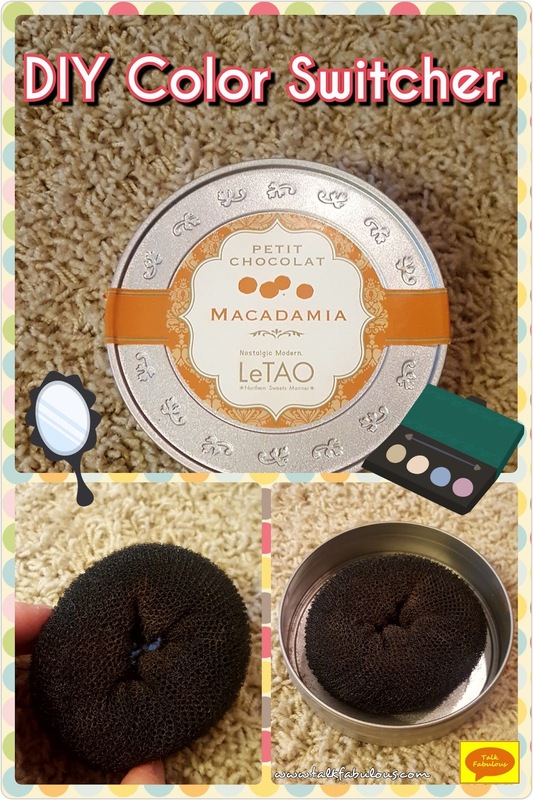 I haven’t used the brush, but it is a nice option if you want to throw it in your purse for on-the-go touch-ups or travel. You can find it at most major drugstores for around $8, and it’s totally worth it! If you’re in the market for a fabulous blush or are just wanting to switch things up, pick this puppy up! You won’t be disappointed! What’s your favorite makeup line? That’s all for today. Have a fabulous weekend, lovelies! Today, let’s talk makeup. If you haven’t noticed already, I love experimenting with different makeup. One thing I still struggle with is creating the perfect eye look. Some days I do okay, other days I lack the time/energy/creativity it takes to make a stellar eye look. Enter quad eyeshadows, or, as I like to call them, a game changing life saver. These take all the guesswork out of where to put what color. They come cleverly labeled with a color for your brow bone, crease, lid, and a liner. Even on my most zombie-ish mornings, I can figure that out. 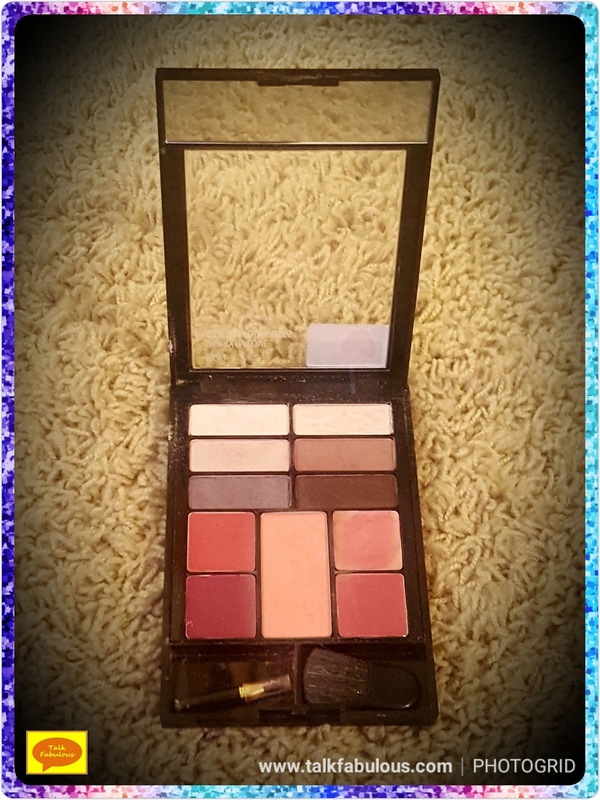 Most major drugstore brands carry these eye shadow quads, but my favorites are the Expert Wear eyeshadow quads from Maybelline (find them here). They run about $5 and come in a variety of shades. The quality is fantastic as they are very pigmented and easy to blend. Plus, they last all day even on the hottest summer day. No melting eyeshadow here! My favorite is Chai Latte. As you can see, I’ve used this so much that I hit pan on all the colors and even ran out of the highlight! (Luckily, Maybelline has some great single eyeshadows so I could easily replace that color.) Check out the instructions they provide on the back. So handy! This quad is great for every day and goes with everything. The Amethyst Smokes is a gorgeous palette. You can easily go from day to night with this one. Just check out the shimmer of the dark purple and black. Stunning! Everyone needs some good gray eyeshadows and the Charcoal Smokes certainly fit the bill. 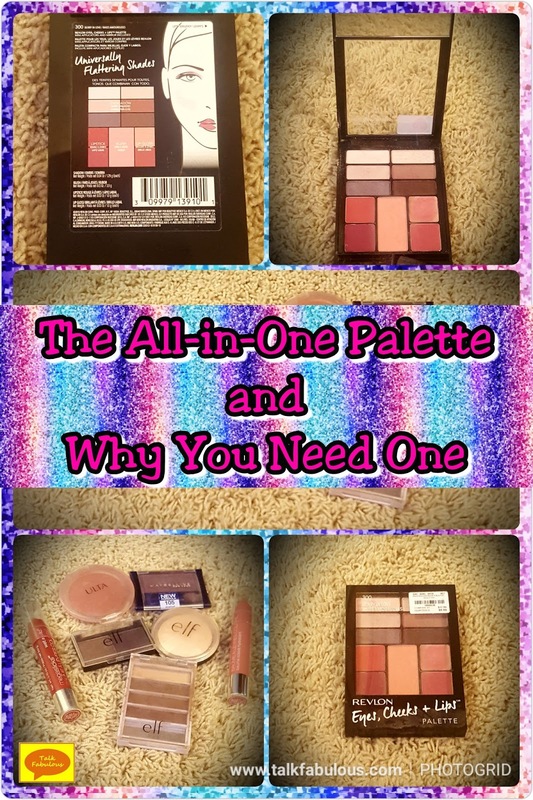 Another great palette to take your look from day to night. Love it! If you’re in the market for some new eyeshadow, I highly recommend these Expert Wear quads from Maybelline! What’s your go-to eyeshadow? I’ve never been much for preventative skin care. I mean, I cleanse and moisturize, but that’s about it. One day at the grocery store I was procrastinating from actual grocery shopping and was perusing through the e.l.f. products. Yes, my grocery store carries e.l.f. makeup. It’s awesome. I noticed they had an eye cream. Feeling it might be time to start protecting that delicate area of my face, I decided to try it out. Specifically, I bought the Illuminating Eye Cream (find it here) for a mere $10. I used it day and night until I ran out. The stuff really works! The dark circles under my eyes gradually lightened. The puffiness disappeared. I was noticing a difference. The changes were subtle and gradual, but they were there. 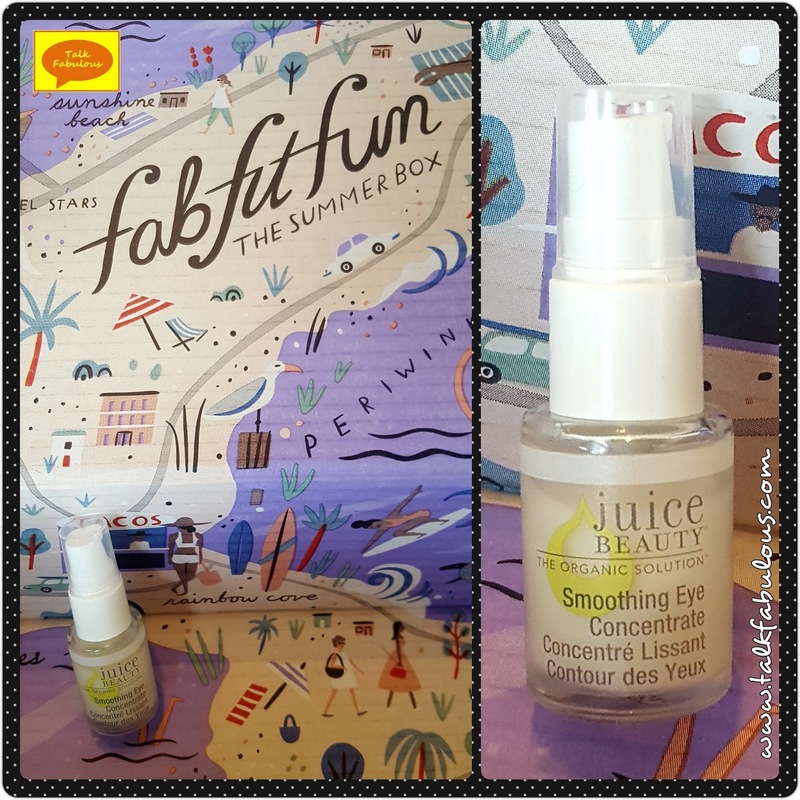 Just as I ran out, I got an eye cream in my summer FabFitFun box. I started using that to replace my e.l.f. one. I figured, this stuff is more expensive, so it’s gotta be better, right? No, I quickly learned that logic is flawed. The price of the product doesn’t necessarily indicate quality. I used the eye cream from my FabFitFun box for about 2 months. The dark circles returned, the puffiness came back, my eyes were not looking as bright as they once had. At that point, there was only one thing to do. 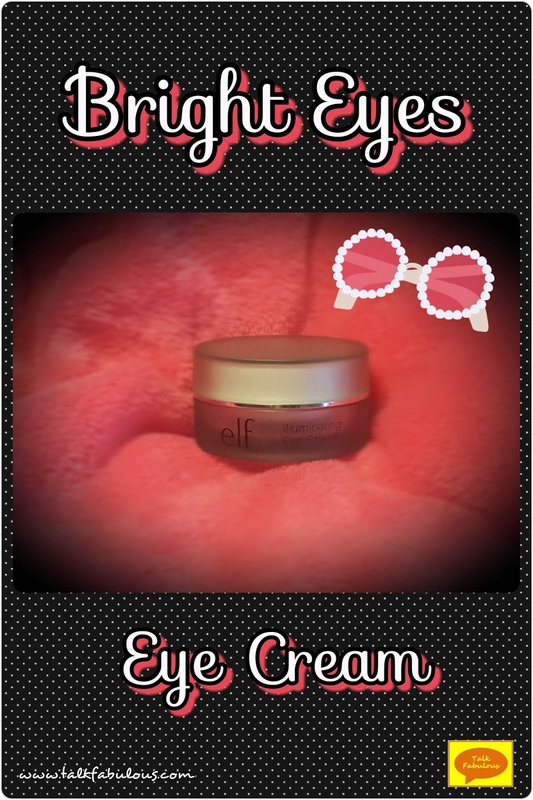 I bought another jar of eye cream from e.l.f. and never looked back. If you’re looking for a great eye cream or just looking to do some experimenting with skin care, I would highly, highly recommend this product! Do you have a preventative skin care routine? What products would you recommend? Guys, I’m in love…with a new mascara! 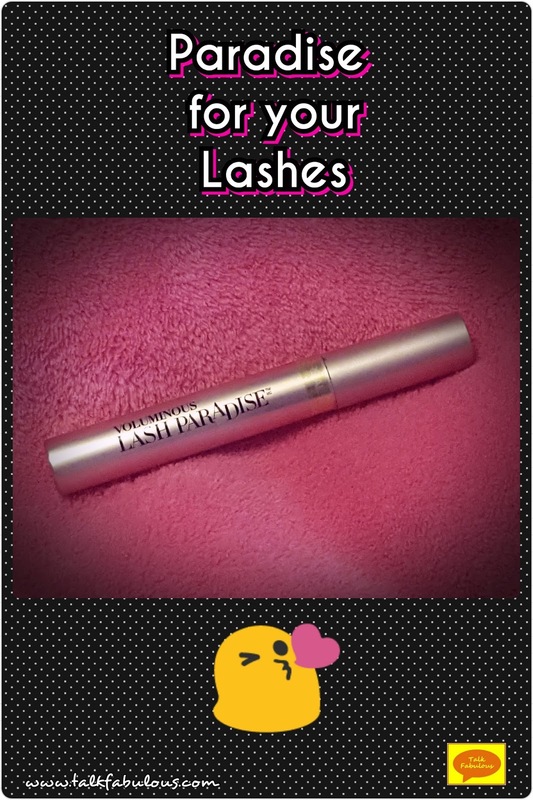 It’s the L’Oreal Lash Paradise mascara (find it here) and it’s on point! This stuff is getting some serious love from beauty gurus and with good reason. You can find it at Target and all the major drugstores for around $8. It comes in 3 shades with waterproof versions available as well. Let’s examine the claims of this mascara according to the L’Oreal website. Claim one: “Silky smooth formula glides on evenly and easily”, check! Claim two: “This volumizing and lengthening mascara delivers a full lash fringe that’s feathery soft”, check! Claim three: “No flaking, no smudging, no clumping”, check, check, and check! This stuff will make your lashes look amazing! Go out and pick some up right now, you’ll love it! 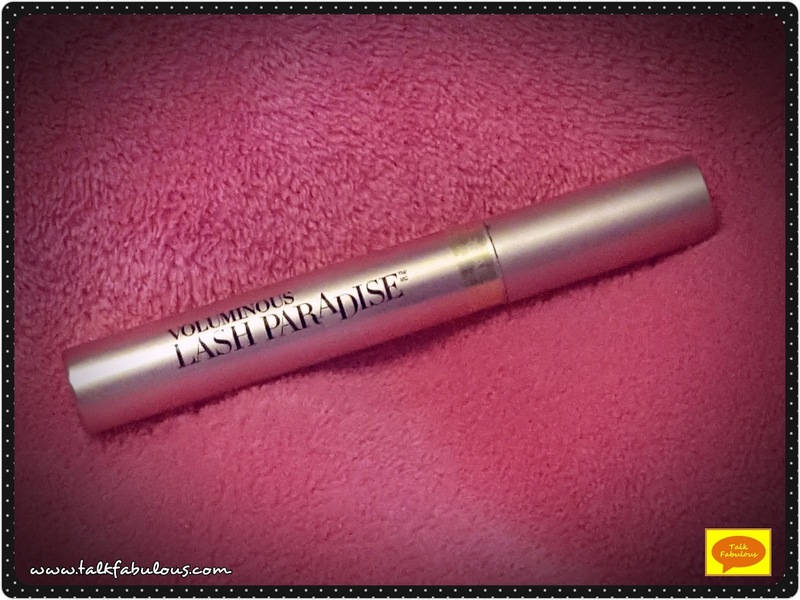 Have you tried the Lash Paradise mascara? What do you think of it? That’s all for today. Monday we’ll be talking all about traveling! See you guys in my next post! So, we’ve all been there. That time when your favorite makeup brush is full of the wrong color. 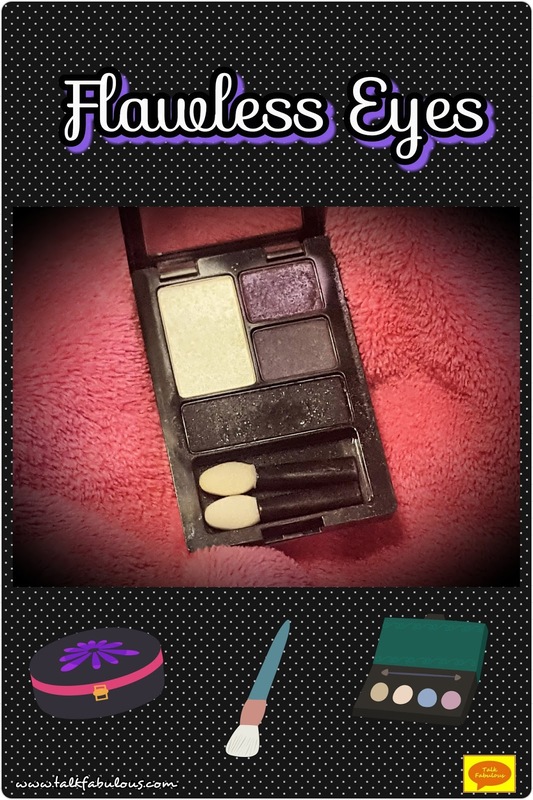 It’s got purple eye shadow when you want to use brown, etc. What’s a girl to do? Ain’t nobody got time to clean their brushes every time they want to switch eye shadow or even blush. Enter the color switcher. These are the latest craze in the beauty world. Sephora and Ultra both have a version that will run you about $20 (find them here and here). You can find them slightly cheaper on Amazon and Wal-Mart even makes a version (here). Even the cheaper versions aren’t worth it when you can make your own for a buck. That’s right, $1. It’s easy! Here’s how. Run out to your local dollar store and pick up one of those hair bun donut things (here). Unwrap it and you’re done! Start wiping your brushes on it when you want to switch colors. Easy peasy! If you want to go the extra mile, you can put it in a tin. I’m sure you can find those at the dollar store as well. I just happened to have this tin laying around that was waiting for its purpose in life. The hair bun donut thing fit perfectly! Now, how’s that for an easy yet super useful DIY?!? This is by no means a replacement for cleaning your brushes with soap and water. Speaking of that, I really need to clean mine. How often do you clean your brushes? 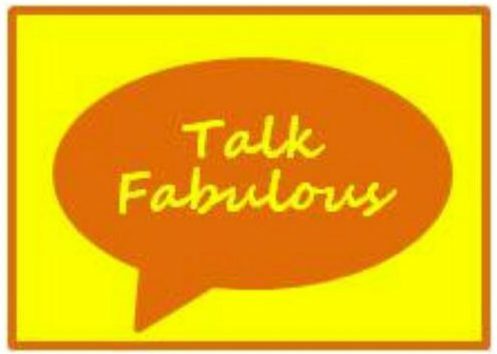 Today, we’re doing something a little different for Fabulous Finds Friday. Over the past few months, many beauty You Tubers have been talking about their ride or die makeup. Basically, that’s a fancy way of saying the products that they absolutely cannot live without. Since I’m always late for the party, now seemed like a good time to share my favorites with you. 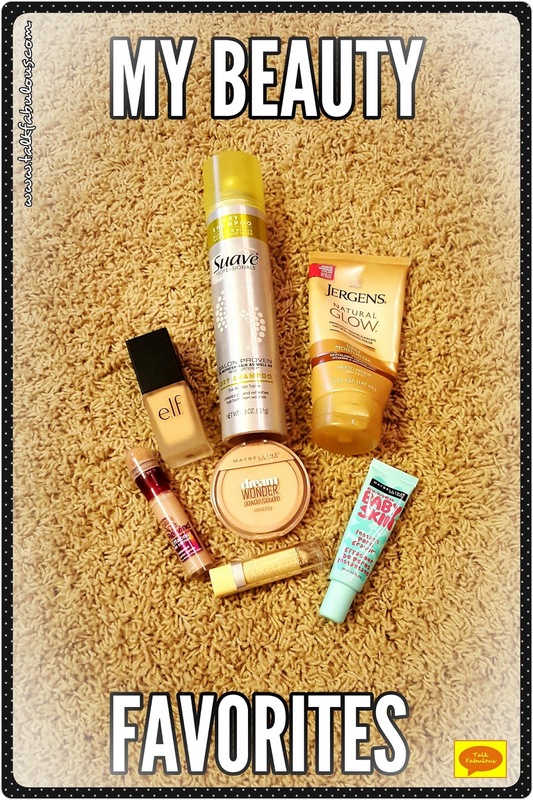 Again, these are items that I repurchase over and over and rush to the store when I run out of them. Let’s get into it, shall we? 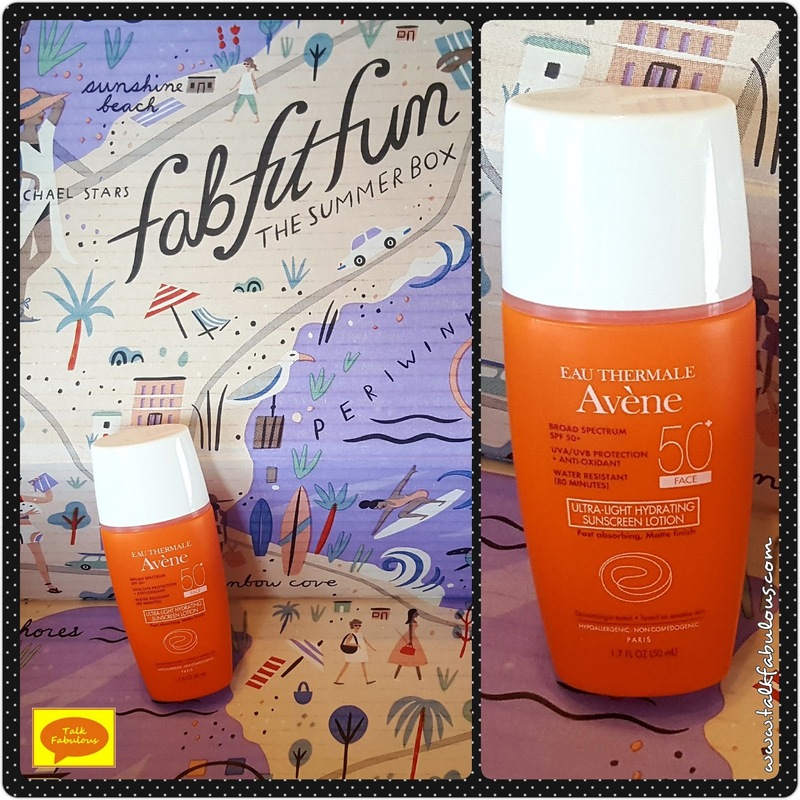 As a super fair skinned girl, I love this self-tanner! My legs will not tan and, as we all know, I love to wear skirts and dresses in the summer. This lotion is perfect as it goes on easily, doesn’t stain your hands, and will gradually give you that perfect summer glow. It’s nearly impossible to mess up this application. If you haven’t already tried this, I highly suggest you run out and pick one up right now (or after you finish reading this blog post 😁). You can find it on Amazon here. Dry Shampoo is a must-have for me. Sometimes I just flat out don’t have the time or the desire to wash my hair. For those lazy days (which, let’s be honest, happen quite often) dry shampoo is the perfect refresher. I have a few favorites. Check out my dry shampoo review here. 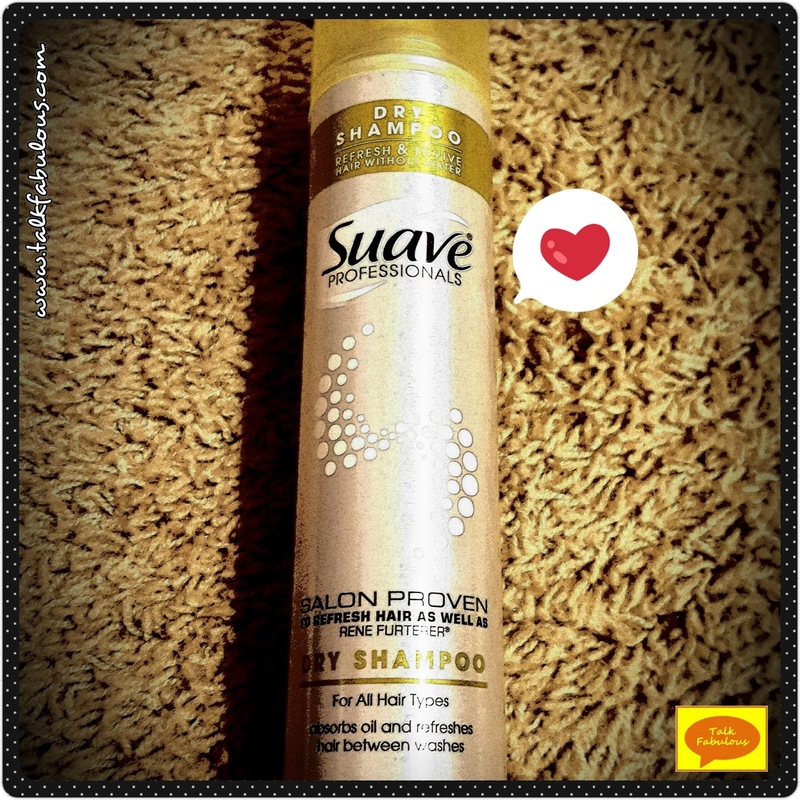 I usually switch between the Suave Professionals Refresh and Revive Dry Shampoo and Dove Refresh + Care Dry Shampoo. Either one is great. Sometimes I even keep both on hand! 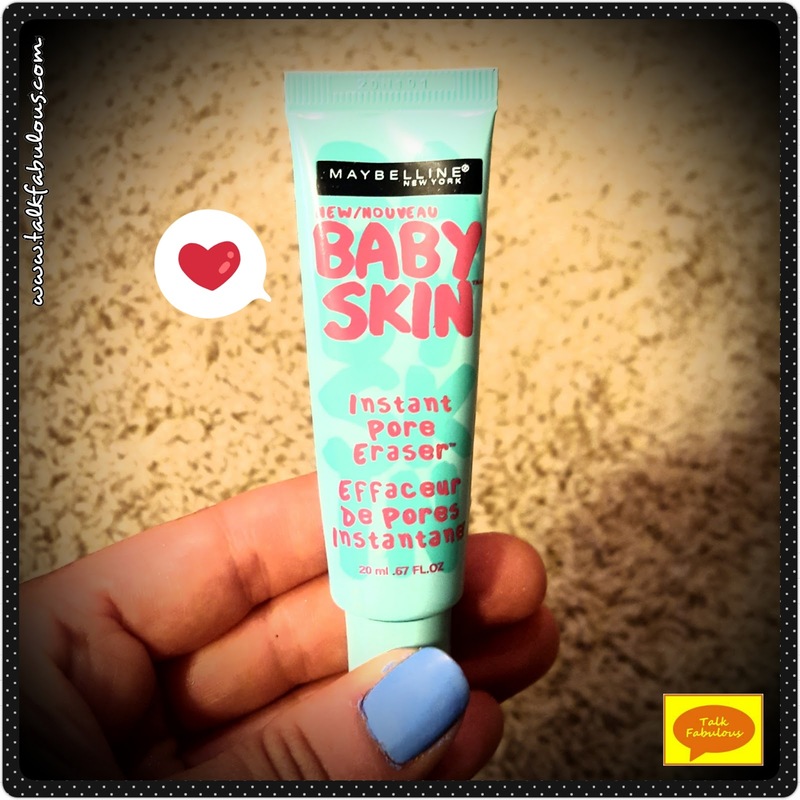 This was the first drugstore primer I ever tried. I gotta say, I’ve never looked back. It’s so good! Plus, it’s so inexpensive! That’s a win-win! This is something that can always be found in my collection. 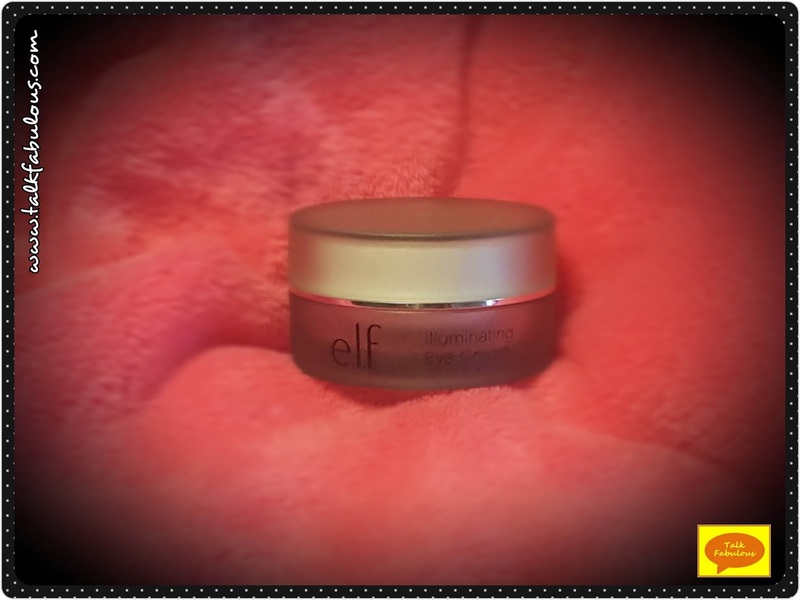 It does just what it claims, blurs pores and smooths the skin. I haven’t found a foundation yet that doesn’t look nice on top of this primer. Love it! Find it on Amazon here. Check out my full primer review here. I talked about my love of this product in my Color Corrector Review (here) so I won’t go into too much detail again. If you’re part of the dark under eye club, then this product is for you! It’s amazing at covering up those dark raccoon eyes we all get from time to time. This product comes in a variety of colors, which I’m sure also work great. I’ve never tried them, though, as I’m concerned about putting cream products on my already oily skin. If you’ve tried out the other colors, let us know what you think in the comments below! Pick it up on Amazon here. That’s a mouthful and also I’m noticing a trend. I promise I’m not sponsored in any way by Maybelline. 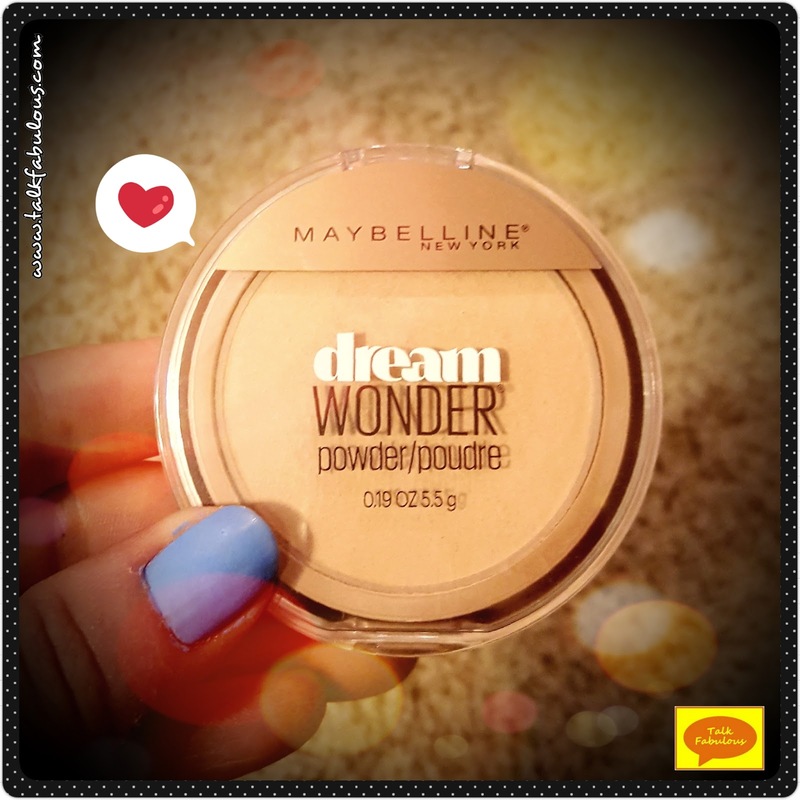 But, Maybelline, if you’re listening, I love love love your products!!! Oh, right, the concealer. 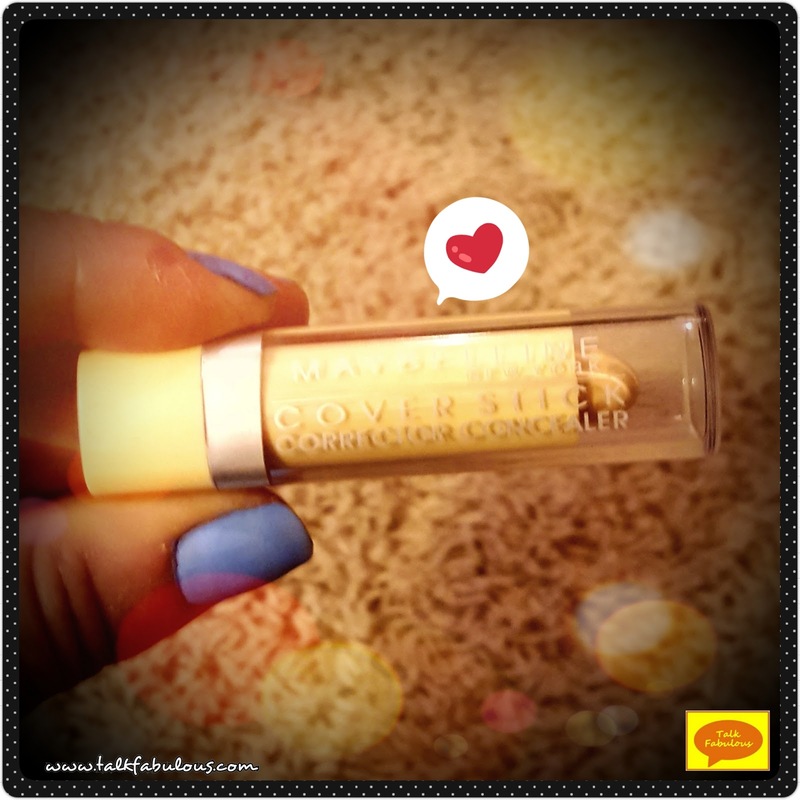 This concealer is fabulous! I’ve tried out countless others and I always go back to this one. The applicator makes the product so easy to apply and it covers well without being cakey or too heavy. It’s just an awesome product. 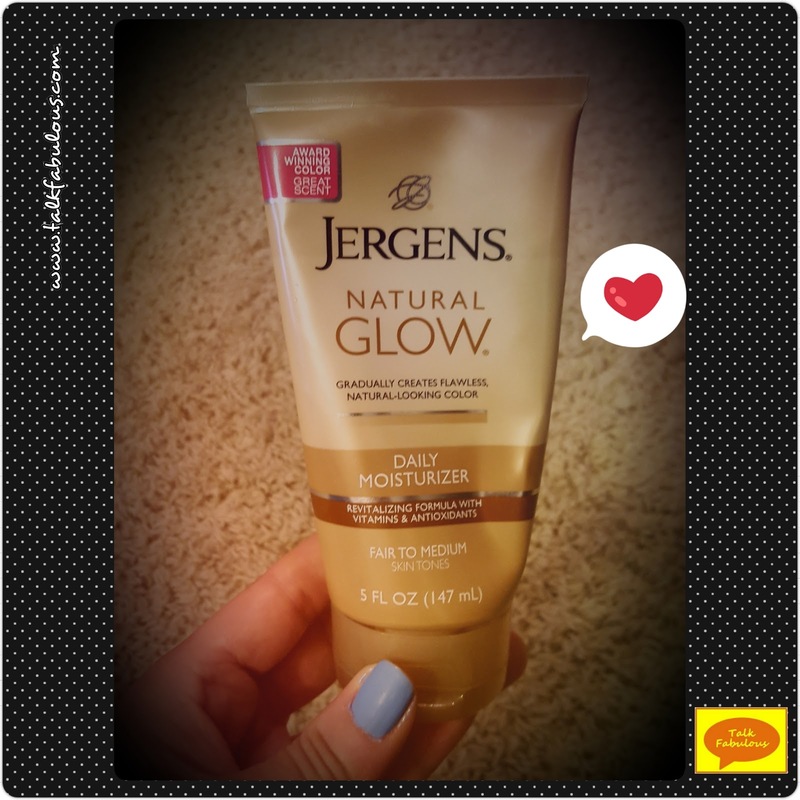 When you run out to buy the Jergens Natural Glow, pick this up too! Find it on Amazon here. Look! A non-Maybelline favorite. It’s basically a miracle! In all seriousness, though, this is a great foundation. To me, this beats out foundations that are 2-3x more expensive. I get so many compliments on my skin when I wear this. 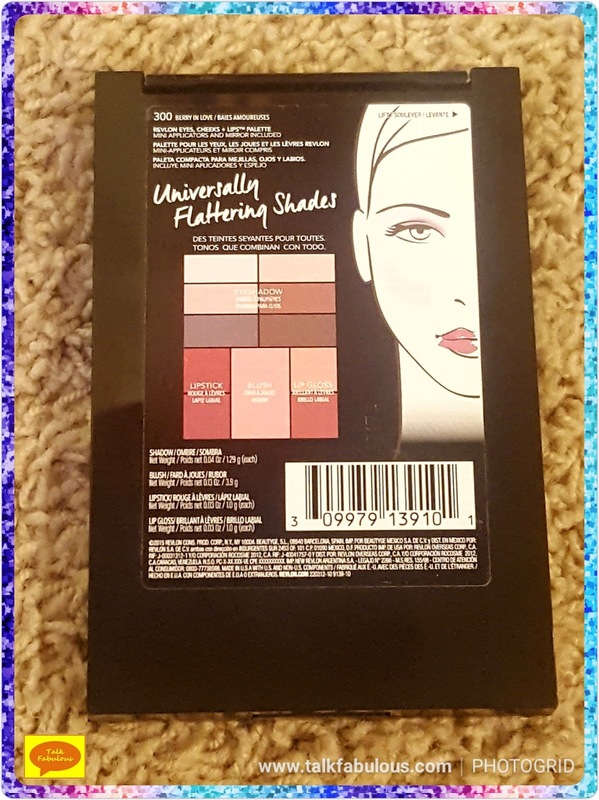 It has great coverage and truly makes your skin look flawless. For 6 bucks, you can’t beat that! Check out their color selection here. Can you tell I have a slight crush on all things Maybelline? It’s true and this powder is no exception. I know, I know, powders are boring, but they’re oh so important. You can’t have a flawless look without a good setting powder. 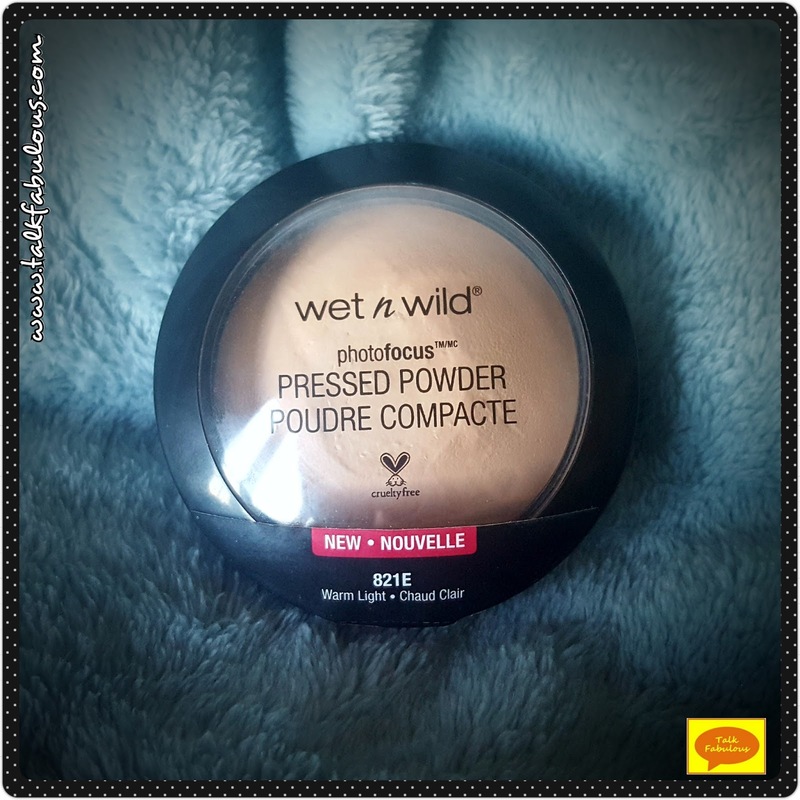 This powder certainly delivers on that (find it here). 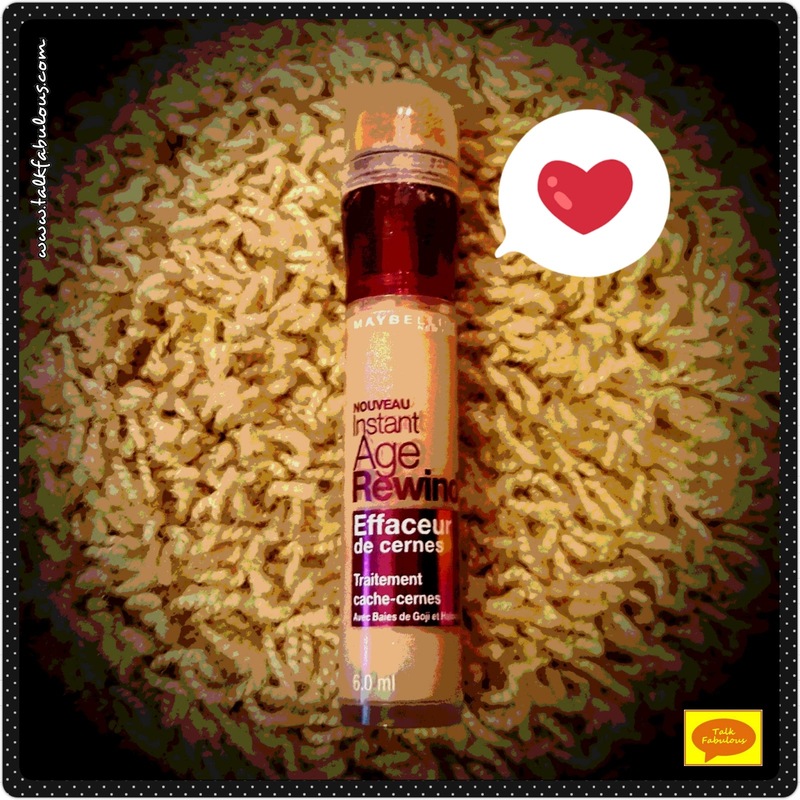 It’s creamy, glides on smooth, and has just the right amount of coverage without being cakey. I’ve also come to adore the round sponge applicator included in the product. In fact, I’ve started applying all my pressed powders with a round sponge. It really allows you to press the product into your skin for that extra flawless finish. I first heard Rachel from RachhLoves talk about applying powder this way, so I gave it a shot. It really works wonders! Looking at my list I realized all these products are basics. There’s good reason for that. If you don’t have a good base, the rest of your look will suffer. You can always experiment with different eye shadows, blushes, lipsticks, etc., but it’s so nice when you have that one product (or products) that you know won’t let you down. What are some of your can’t-live-without favorite products? P.S. Stay tuned tomorrow for a special surprise! This is one of those “your skin but better” types of foundation (find it here). In other words, it’s a nice medium coverage foundation. I do like how it wears on the skin and it lasts a full day. I can’t speak to the flash photography thing, but I do think it’s nice to have something in my collection that could be worn during such events. My biggest beef with this product is the applicator. It’s shaped like a paddle. To be honest, I really don’t know what to do with it. The paddle is nicer to use than tipping it upside down and dumping it on your hand. However, it’s still awkward. I’ve found this foundation applies best using a beauty blender so I just wipe the product onto the sponge with the applicator. If you have other suggestions, please let me know! Overall, this is an okay foundation. I’ll use it up, but considering how difficult it was to find, I probably won’t repurchase. Again, this is supposed to give you that flawless look for taking pictures (find it here). I have the same feelings about the powder as I do the foundation. It’s an okay powder. It works best if you apply it with a dry makeup sponge and pat it into the skin. 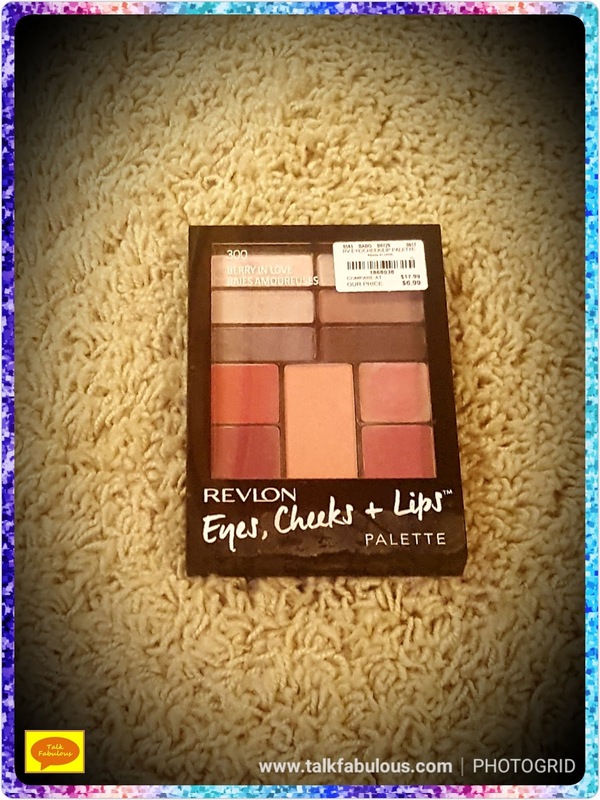 It does set the makeup nicely and is long-lasting. Nothing groundbreaking by any means, though. Like I said, it’s nice to have a product in my collection that will reduce flashback during photography. Other than that, I’ll use this up, but I probably wouldn’t repurchase. 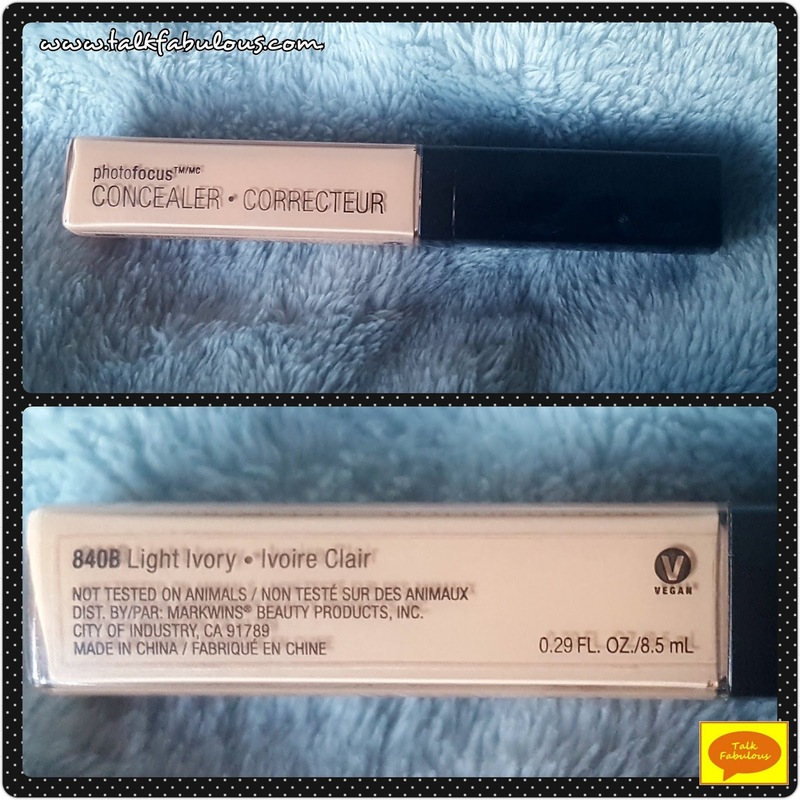 This is touted to be a high coverage, creamy and luminous concealer (find it here). I’ve heard it may be a dupe for the Tarte Shape Tape (here). The Tarte Shape Tape comes in at a whopping $25. Clearly, I haven’t tried it, but the YouTube beauty gurus love it. 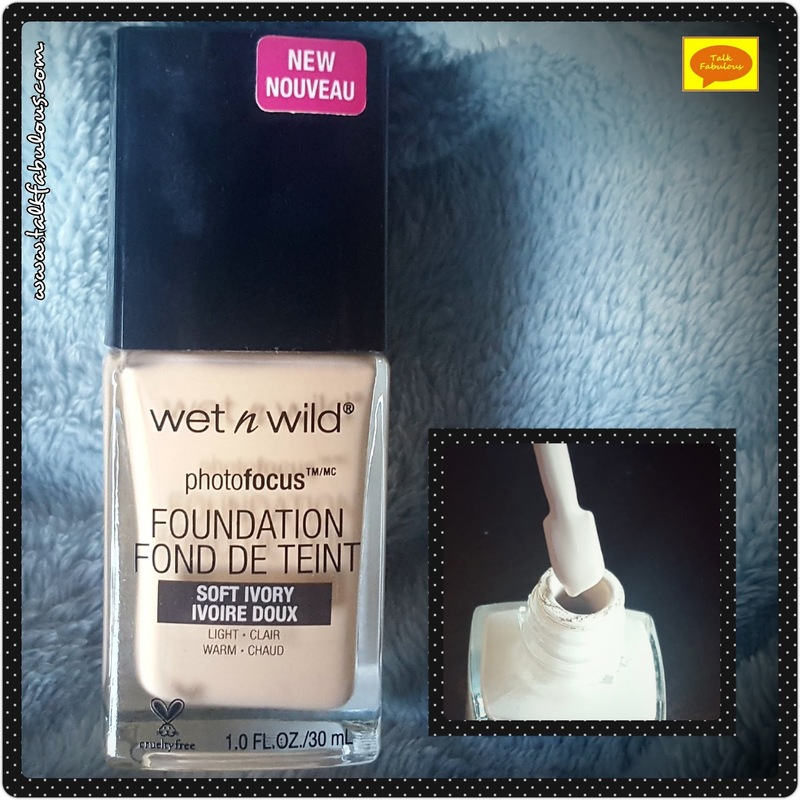 Who knows if it’s a dupe of not, but what I do know is the Wet n Wild concealer is very sticky and very quick drying. Normally, I dot the concealer everywhere I need it and then blend it in. There is no doing that with this stuff. I dot it on and then blend it in immediately. In place of an eyelid primer, I’ll sometimes use concealer. You don’t want to that with this product as the eye shadow will not sit well on the concealer. Highlighter will not sit well on top of this either. The concealer is so sticky that the highlighter will just adhere right to it making it very hard, if not impossible, to blend out nicely. It is high coverage, though, which is nice. You just have to be very careful about where and when you apply it. For that reason, this is another pass. Again, I’ll use this up, but I won’t repurchase. 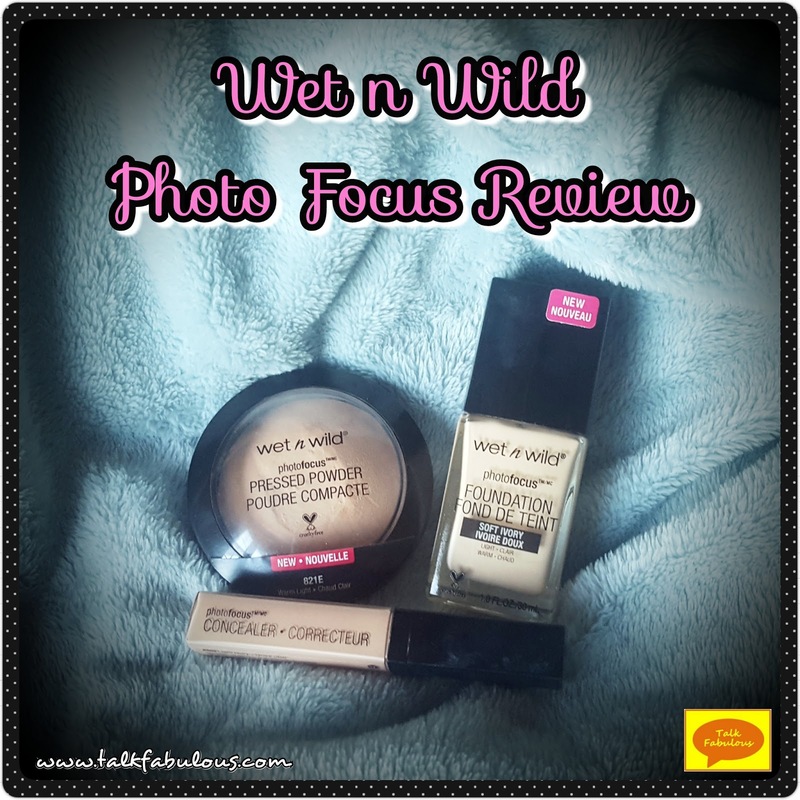 Have you tried the Photo Focus line from Wet n Wild? What are your thoughts about it? It’s that time again! 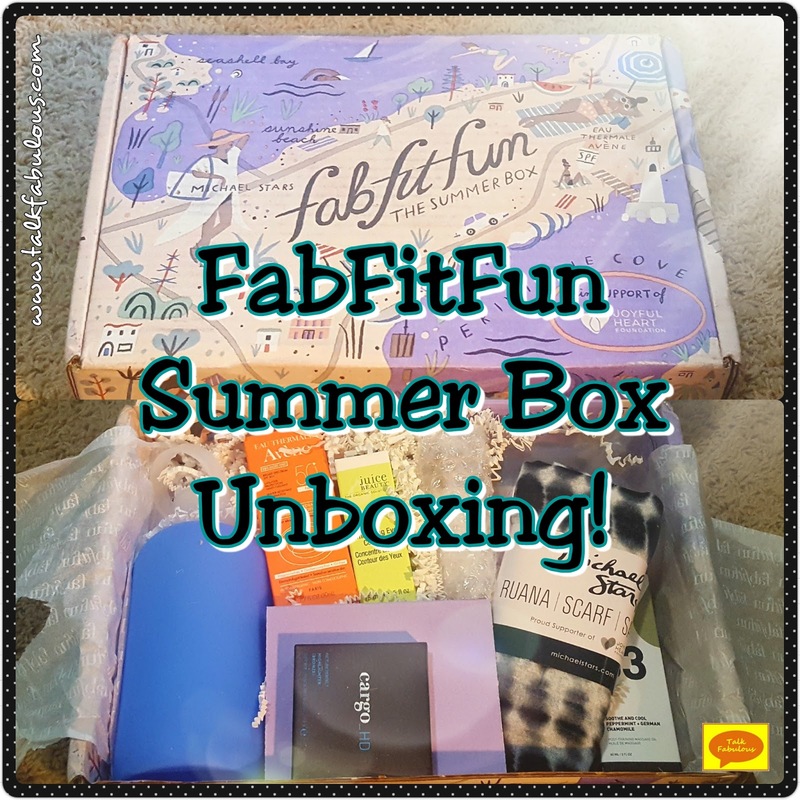 That’s right, time for FabFitFun unboxing! Getting home and seeing this box sitting on my front step brings me pure joy. I love it! 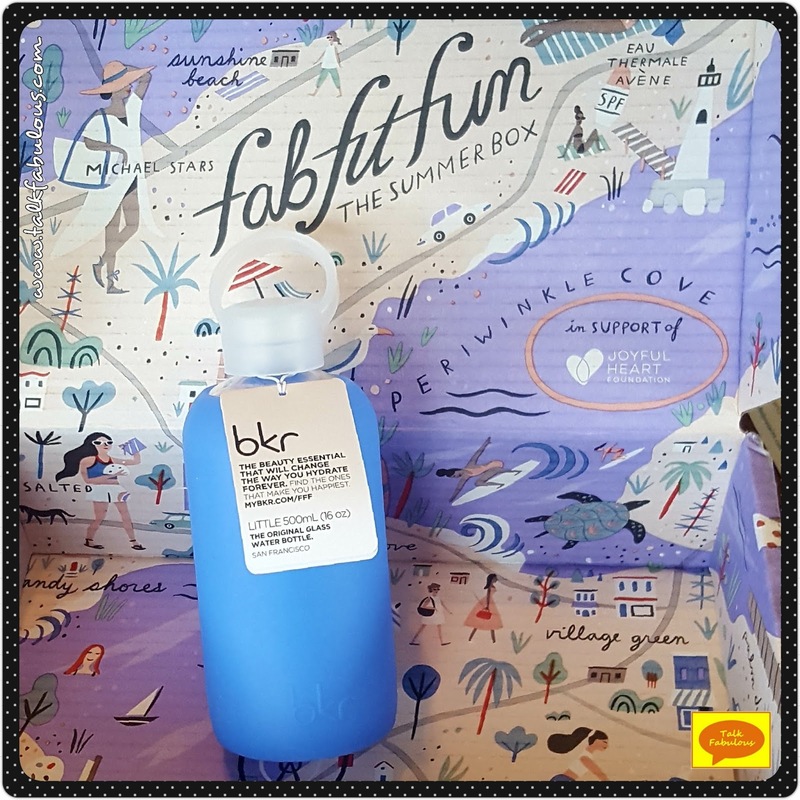 Much like the Editor’s Choice box (see that post here) and The Spring box (see that post here), The Summer box did not disappoint. Let’s explore the goodies, shall we? What’s a Ruana? Don’t worry, I had no idea either. According to Wikipedia, it’s a “poncho-style outer garment typical of the Andes region of Venezuela and Columbia.” All I know is that it’s super soft and versatile. It can be worn as a scarf, sarong, or shawl. This would be a great item for the beach or for traveling as it’s light but would keep you warm if you needed an extra layer. This is going into my summer wardrobe rotation ASAP. Look for it in an outfit post real soon! This is the cutest glass water bottle! It’s a perfect size and comes complete with a rubber cover to prevent breakage. Many of us (myself included) need to drink more water. Having cute containers like this around makes that a little easier. It’s a little heavy to stick in my purse, but it’s a nice size to carry around. It’ll be perfect in my car for my commute! Might-as-well drink some water while sitting in traffic, right? I’m not going to lie, I squealed with joy when I saw this sitting in the box. I love getting new makeup products to try and couldn’t wait to test out this one! This highlighter is gorgeous! 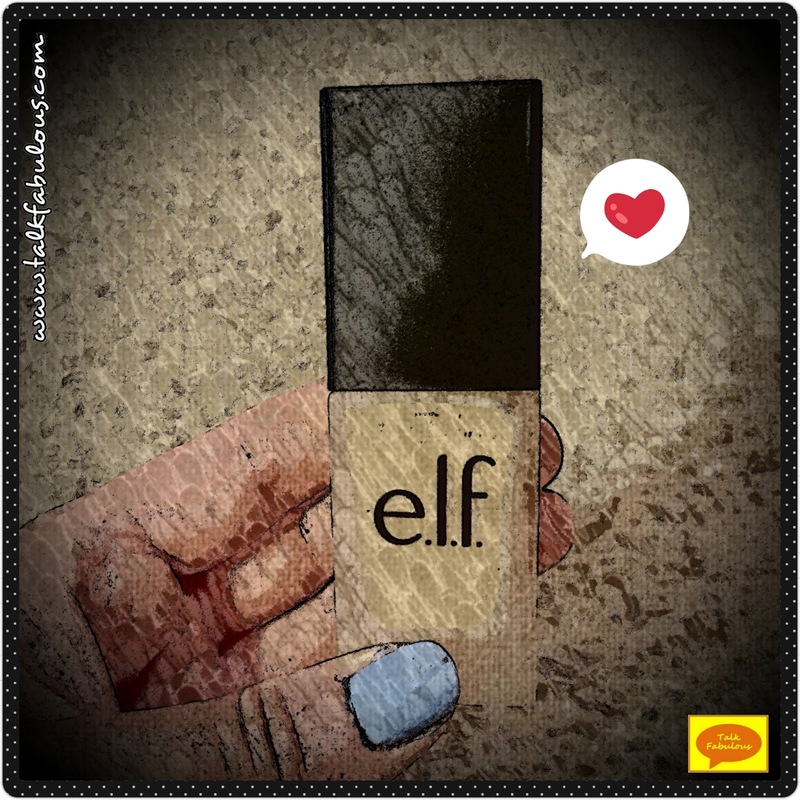 It’s creamy, lightweight, and glides on effortlessly. 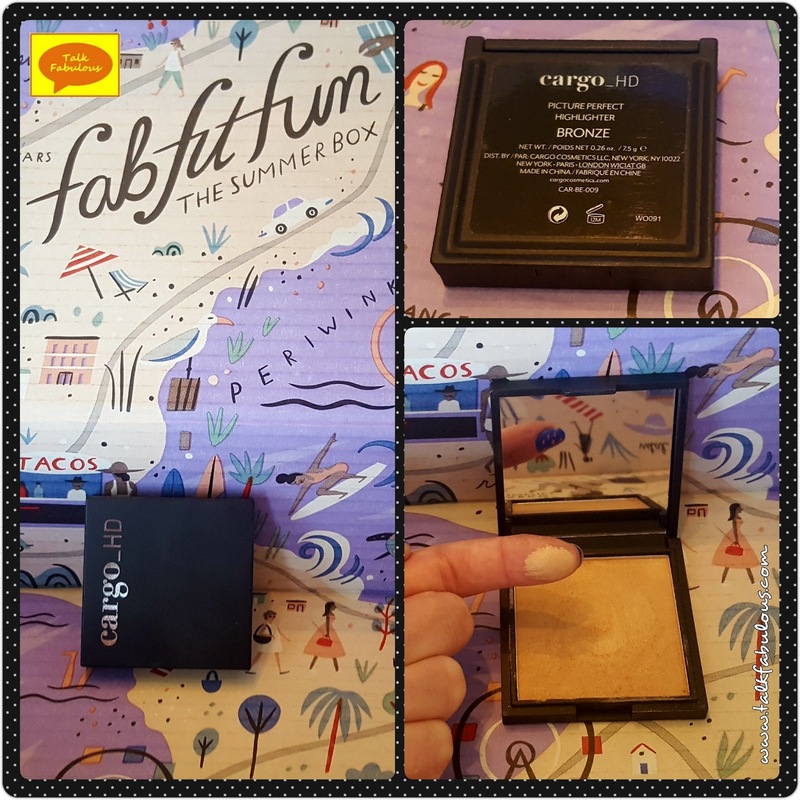 The highlighter itself is shimmery gold and gives a nice summer glow to the skin. Apparently, it’s formulated for HD filming to “give you a radiant, picture perfect finish…[that] remains invisible to the camera.” I can’t speak to the camera part but it does give you a radiate, lit from within kind of look. It kicks up a little powder, but other than that, there’s nothing to complain about here. I would be curious to see what other products are in their line. I’ve been getting into skin care lately. I don’t know if it’s all the YouTube videos I’ve been watching or what, but I’m really curious to try some new products. I was so excited to see this eye cream in the box. Just that morning, I had run out of my e.l.f. Illuminating Eye Cream, so this was perfect timing. This claims to “moisturize and soothe any dark circles and fine lines.” It’s full of ingredients that will “hydrate and nourish the eye area.” I really like this product. There is absolutely no scent, so if you’re sensitive to that you might want to check this out. It’s lightweight and goes on easily. It really protects the skin as I can still feel where I applied it in the morning. I haven’t been using it long enough to say if it truly makes a visible difference or not, but when I use this product, I do feel like I’m doing something great for my skin. A girl can never have too much jewelry, right? 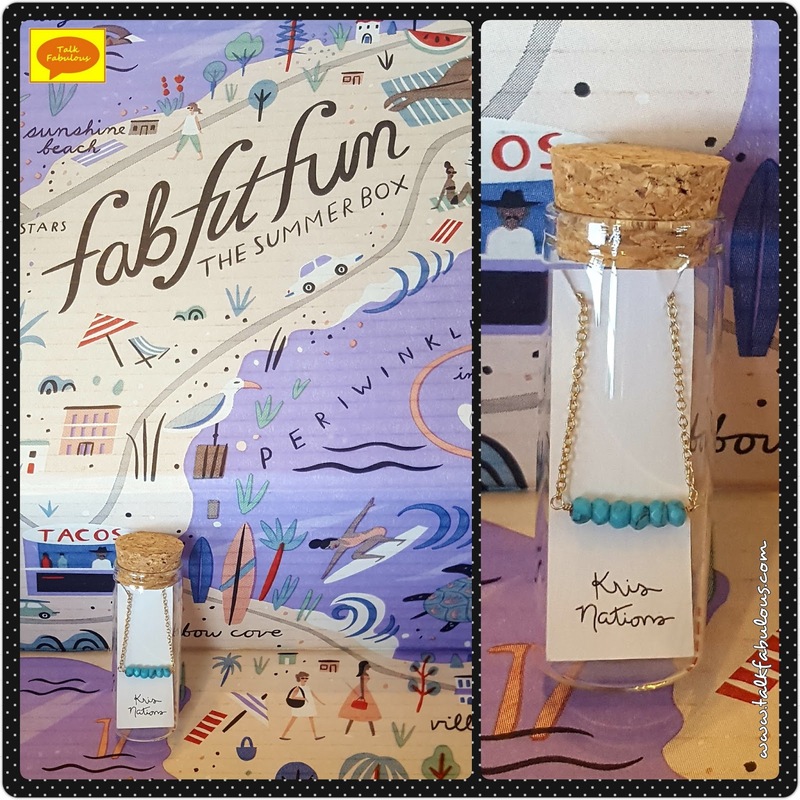 I love getting new pieces to add to my collection and FabFitFun boxes never disappoint. This box contained a beautiful, yet simple necklace. I got the turquoise option promoting balance, discovery, and confidence which was perfect for me! This is such a versatile item and I’ve been pretty much wearing it non-stop since I got it. Plus, how cute is the packaging! Love it! I’ll be honest, I haven’t tried this yet. I’m a little nervous about the word hydrating with my oily skin. Nonetheless, I’ll give it a shot. It’s the perfect size to just stick in your purse. I don’t know about you, but I never think to have sunscreen along. This will be great to just have with me. Apparently, it’s supposed to “protect and nourish your skin” with antioxidants and spring water. Maybe that doesn’t sound so scary after all. I’ll give it a try this weekend and let you know how it goes! These health items are always included in the boxes. Last month it was the gummy vitamins and this month it was this. It’s an unflavored collagen powder you mix with a glass of water. It’s supposed to give you a healthy complexion. I tried it. Who knows if it did anything, though. To me, plain water is hard to beat especially for about $50! This was one of three options. I forgot to make my selections, so this was chosen at random for me. What a great fit to get my craft on! 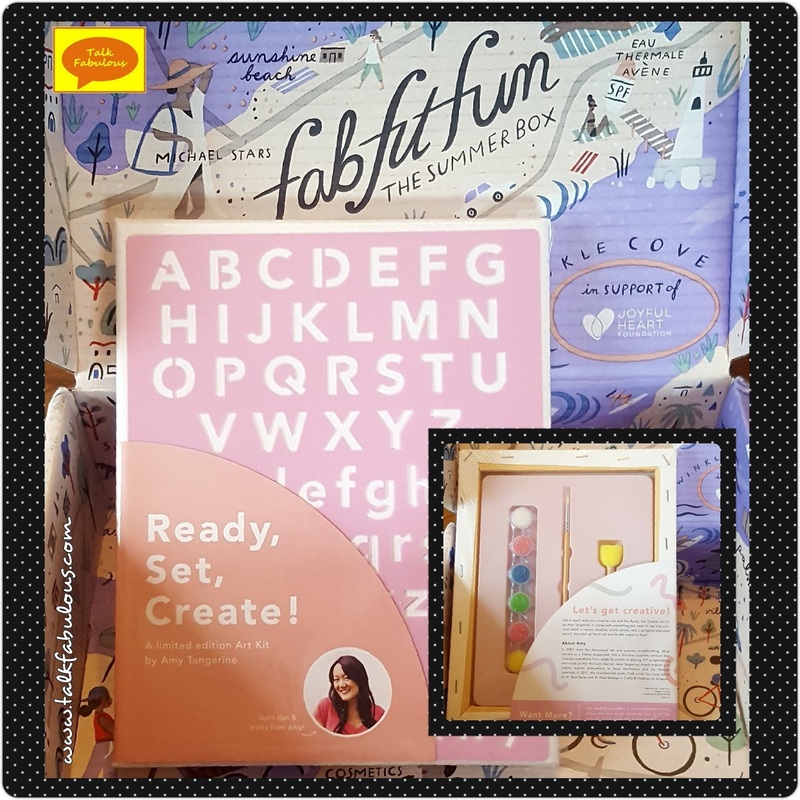 The kit comes with an 8×10 canvas, a set of 6 paints, 2 brushes, and an alphabet stencil set. I have no idea what I’m going to make but I can’t wait to use it! This was another option item. To be honest, I have no idea how this is supposed to be used. I’ve swatched it on my hand and it smells good, but that’s as far as I’ve gotten. If you know, comment below or on the Facebook page. 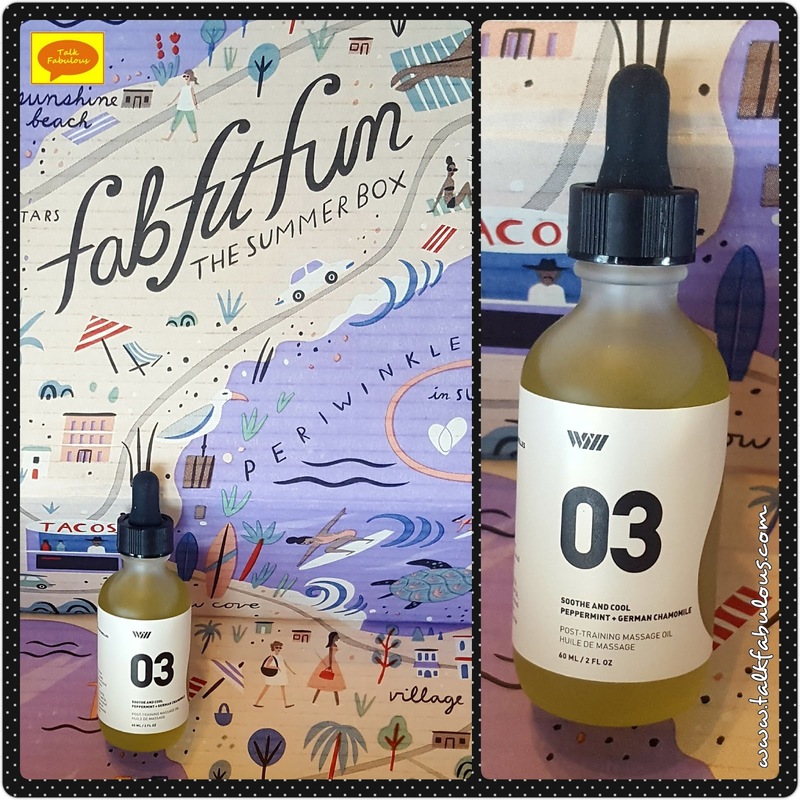 According to the bottle, it helps skin retain moisture, improve the protective barrier of the skin, increase hydration, elasticity, and cools affected areas. The tip is to use after a long day in the sun to soothe skin. I guess my question is, do you use this all over or just in a small spot or what? Maybe I just need to try it out. I’ll keep you posted. Total Value of Box: $281.50!!!! This is a great value for only paying around $50 for the box! I’m excited to experiment with all the products and explore some new brands. 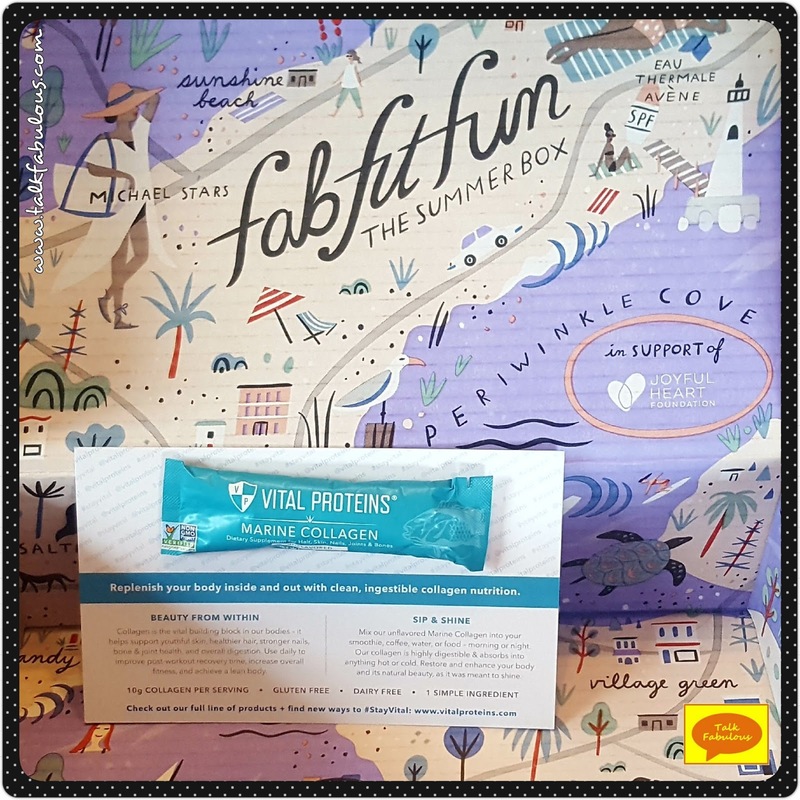 I would highly recommend giving FabFitFun a try. If you’re interested, use this link to get $10 off your first box! Trust me, you won’t be disappointed! 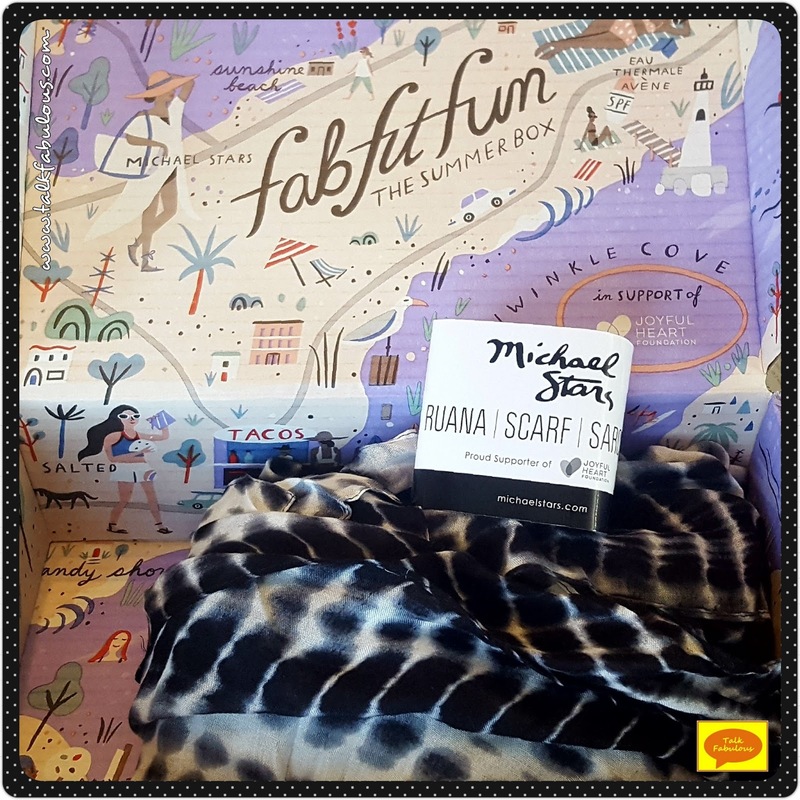 Oh, and don’t forget to share your FabFitFun treasures here and on the Facebook page! That’s all for today. See you guys in my next post, in which there’s a 99% chance of red, white, and blue! Enjoy your weekend, lovelies! Today, let’s talk easy confidence. There’s nothing quite like parading around with a fresh coat of nail polish. Knowing your nails look flawless, just makes you feel fabulous. 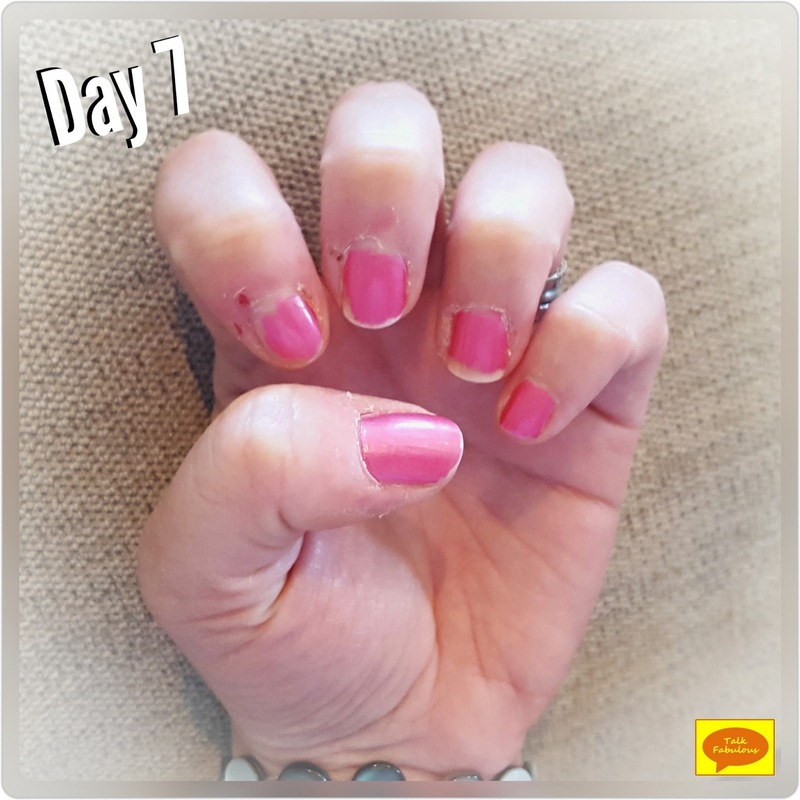 Nothing can undo that quite like chipping nails. Ugh! I usually find myself painting my nails a neutral color so the chips aren’t as noticeable. What’s the fun in that, though!?! 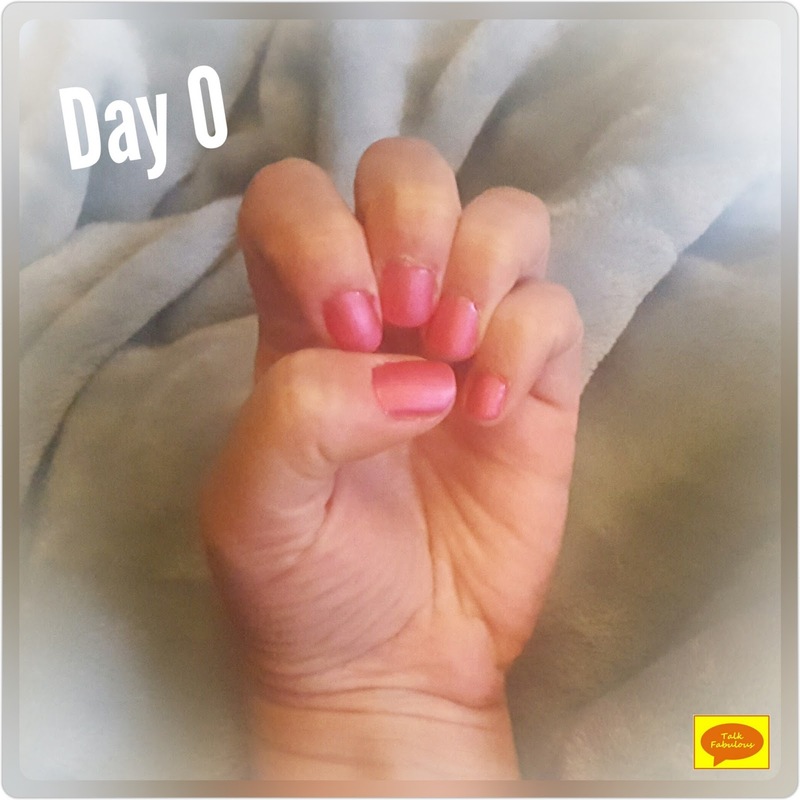 The Zoya nail polish I got in my first FabFitFun box (see that post here) had some serious staying power. We’re talking two weeks of wear. I thought maybe I just needed to buy a more expensive nail polish. I couldn’t bring myself to pay $10+ for a bottle, though. Meanwhile, I started using a mattifying top coat from Wet n Wild. I noticed the wear of my nail polish was lasting longer. I wondered, was it the polish or was it just that I was wearing a top coat? 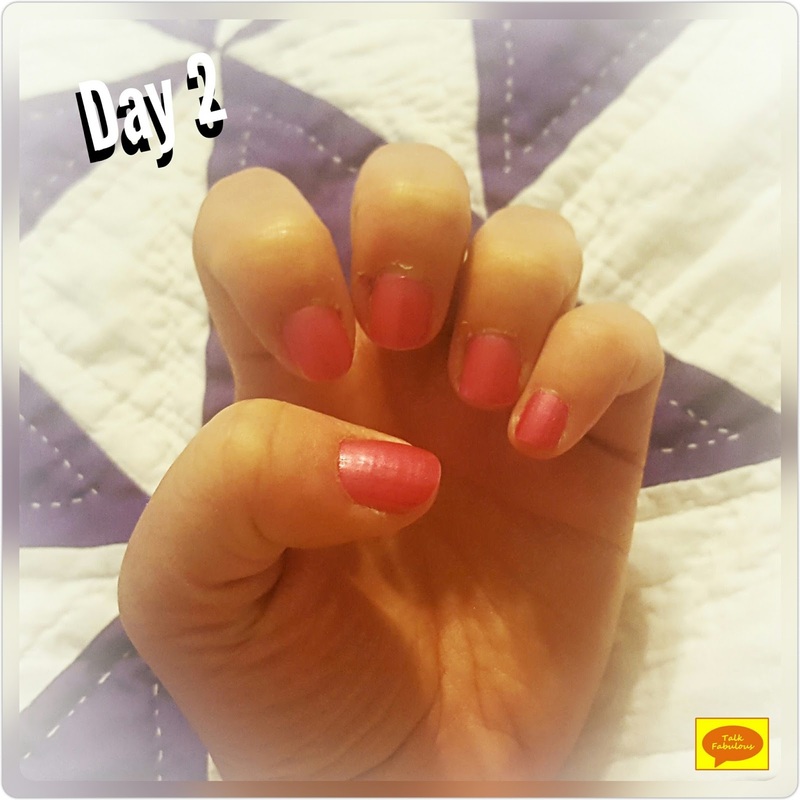 To find out, I painted my nails with the Wet n Wild nail polish, without a top coat, and documented the wearability by taking pictures every few days. As you can see from the pictures below, this stuff was pretty tough. It lasted a good 4 days with minimal chipping. It was a full week before I felt I needed to repaint. Pretty good, right? Oh! Did I mention that you can pick this up for just a buck? That’s right, I bought this at the Dollar Store for $1! Not too shabby for a very affordable polish! I highly highly recommend the Wet n Wild nail polish. It’s inexpensive and works well. 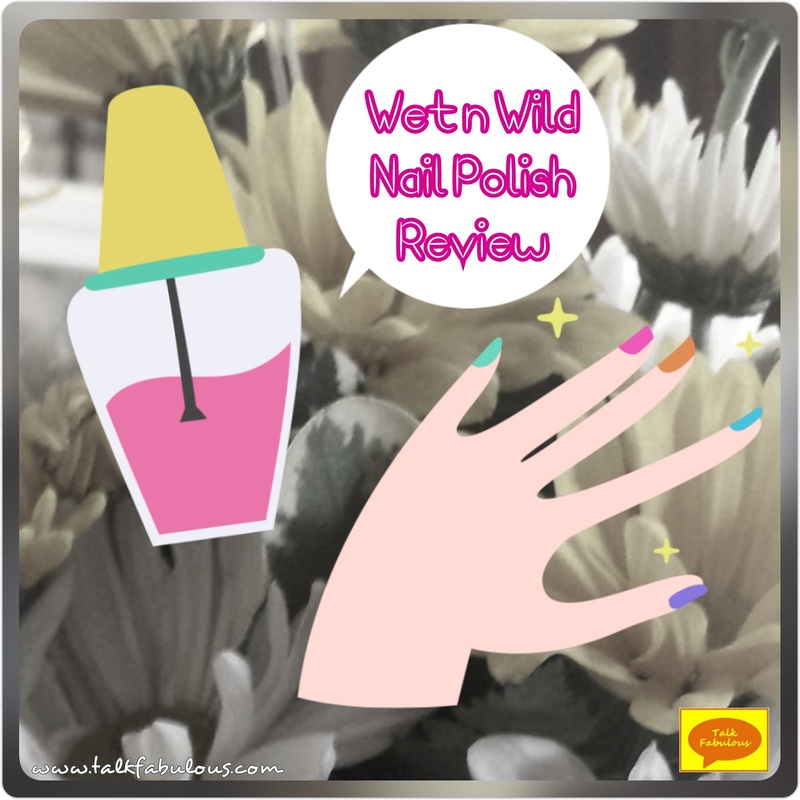 On as side note, the Wet n Wild gel nail polish is very good too. You can pick it up for around $5. It’s a 1 step gel system with no light needed! It’s also long wearing. The thing I like about the gel polish is that you can do touch ups easily. 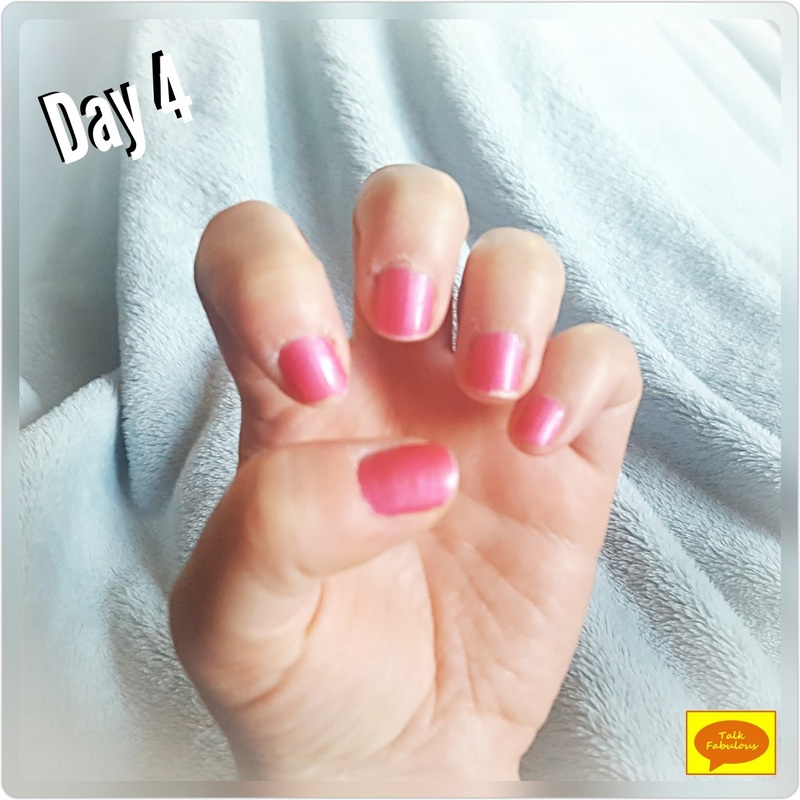 When your nails start to chip, just add some more polish to the bare spots and it’ll look like you completely redid your manicure! That’s a win for sure!